This high quality Supervue acrylic stand is the ideal way to display menus or posters on a counter top. 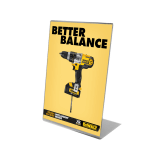 No matter what industry you're in, whether its retail, leisure, hospitality, travel or events, this style of Free Standing Poster and Menu Holder is perfect for pushing promotions, offers, prizes and product information. What is the Poster and Menu Holder made of? The portrait holder is manufactured from high quality Supervue acrylic that is strong, robust and rigid. Products A3 and larger are made from 3mm thick acrylic and products A4 and smaller are manufactured from 2mm thick acrylic. All of our Supervue acrylic products are finished with a diamond polish to create a crystal clear and professional look. Can I get this product with branding? Yes, you can add your logo to anywhere on the front of the product to permanently show your branding. Choose the option "with your custom artwork" from the dropdown, and after purchase, we'll send you a link to upload your artwork for printing, or you can design it yourself using our clever online drawing app. After you've ordered, we'll send you an email with instructions on how to send your artwork to us for branding. You can upload artwork from your designer, or you can design it yourself using our clever online drawing app. We'll add your logo onto your chosen area of the product and will send it along with your products 2-3 days later. What is the best way to look after acrylic? 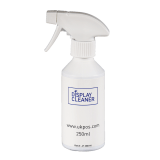 To keep your acrylic display looking newer for longer, clean it with our Anti-Static Optical Cleaner and Micro Fibre Cleaning Cloth. I can't see the size I want on the website, can you manufacture other sizes? Yes, if you would like a different size or colour just get in touch with us for a custom design and quote. How do I update my graphic? Changing displays has never been quicker or easier. The back panel simply pulls away enough for you to slide your new promotions in and out in seconds. Why choose acrylic over styrene? Whilst visually it may be hard to spot the difference between the two materials, there is a difference in the quality. Acrylic has a shinier, more professional finish and is less susceptible to scratches. It is a rigid material with a heavier density that is diamond polished for the perfect finish. Styrene is a more affordable alternative which is a little lighter in density and comes with smooth frosted edges. Whilst there are benefits to both materials, for a more premium look we recommend acrylic. Can I use this acrylic display stand landscape? Due to the design of the product, this display is for portrait use only. If you are looking for a landscape poster and menu holder, please see here. Is the Menu Holder on an angle? Yes, the portrait Menu Holder and Poster Holder has been designed to tilt back to make it easier for standing customers to read. Can I get this product branded/printed? Yes, we can brand/print this product for you. After purchase, we'll send you an email within an hour with a link to upload your artwork for branding. Please ensure you use one of the templates we provide to make this problem free. After you've ordered, we'll send you an email within an hour with instructions on how to send your artwork to us. Give one of the templates provided to your designer, then upload your artwork for printing. We'll print your artwork and will send it along with your products when it's printed 2-3 days later. We do not offer a design service, but we do provide templates for you to give to your own designer. These make it fairly straightforward to create your artwork so it's ready for upload and printing. Do you have templates available? Yes, to make it easier for you to produce your artwork we have produced templates for your designer to use. These can be found on our Print Service page under the 'Design Templates' tab. Do I need my artwork ready when I order? No, as you upload artwork after ordering, you don't need to have it ready when you purchase your item. We will send you an email within an hour after you have placed your order and you can get it designed and uploaded in your own time. Can I send more than one piece of artwork for a double sided product? Yes, you can send over two different types of artwork to feature on either side of a double sided product. How long does it take to print my products? Most of our printed or branded products take 2-3 days to produce (depending on the product) after we've received your finished artwork. If we don't receive your artwork promptly your order will be delayed. As there is a lead time of 2-3 days on custom printed products from receipt of artwork, we're unable to deliver these items via expedited services or make them available via Click and Collect. Once printed, we'll despatch your goods using your chosen delivery method. After you have placed your order we will send you an email with details on how to provide your artwork to us for printing or branding. If you do not receive this within an hour of ordering, please contact us and we will be happy to assist. Should we print your logo on this? A9 paper is a tiny format commonly used for some price tickets. It measures 37mm x 52mm or 1.46" x 2.05". Many (but not all) business cards are A8 size. It measures 54mm x 74mm or 2.0" x 2.9". A7 paper is half the size of a standard postcard and eight times smaller than a magazine. It measures 74mm x 105mm or 2.9" x 4.1". A6 paper is the size of a standard postcard and four times smaller than a magazine. It measures 105mm x 148mm or 4.1" x 5.8". ⅓ A4 (or DL) is three times smaller than a magazine and commonly used for tri-fold leaflets. It measures 99mm x 210mm or 3.9" x 8.2". A5 paper is half the size of a typical magazine. It measures 148mm x 210mm or 5.8" x 8.3". A4 paper is the same size as a typical magazine. 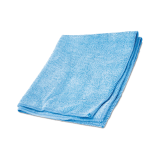 It measures 210mm x 297mm or 8.27" x 11.69". A3 paper is twice the size of a typical magazine. It measures 297mm x 420mm or 11.7" x 16.5".